Gair, Gair, Conason, Rubinowitz, Bloom, Hershenhorn, Steigman & Mackauf has enjoyed a long and storied tradition of success for our clients. The firm was founded in 1919 in New York City by Harry A. Gair, one of the most prominent and respected trial attorneys in the country. He was subsequently joined in practice by his wife, Harriet Gair, and eventually Robert L. Conason, the firm's Senior Partner who carried on the firm's commitment to the professional and ethical service of our clients until his death. Bob will be missed but he had the foresight, as did Harry Gair, to leave the firm in highly capable hands. The firm continues with Ben B. Rubinowitz as managing partner together with a core group of partners who have been with the firm for twenty years and longer. It is this dedication, sensitivity and commitment to personal service that has defined our firm for nearly 100 years and will continue to define it in the future. Beyond monetary awards, the results obtained by Gair, Gair, Conason, Rubinowitz, Bloom, Hershenhorn, Steigman & Mackauf's attorneys have affected safety changes in government and industry. For example, as a result of the Amadou Diallo civil suit, the NYPD’s Bronx Street Crime Unit was disbanded when it became evident that the Unit was ineffective. As a result of aggressive advocacy, our firm's product liability attorneys were instrumental in forcing a major pharmaceutical company to create a new warning on a widely-prescribed antibiotic that advised users that the drug could cause achilles tendon ruptures. 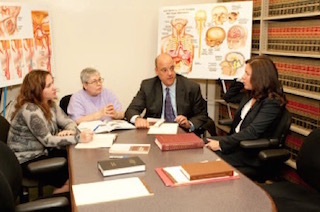 In addition to successfully representing plaintiffs in a variety of personal injury and medical malpractice matters, the attorneys at Gair, Gair, Conason, Rubinowitz, Bloom, Hershenhorn, Steigman & Mackauf are sought out by the legal community for their expertise--our lawyers have written articles in many scholarly journals and have taught continuing legal education courses at a number of prestigious institutions. 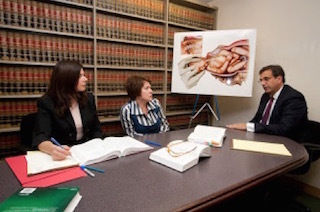 Our firm has received numerous professional accolades including being ranked by Best Lawyers as the #1 medical malpractice firm in the United States and the #1 personal injury firm in the New York area. 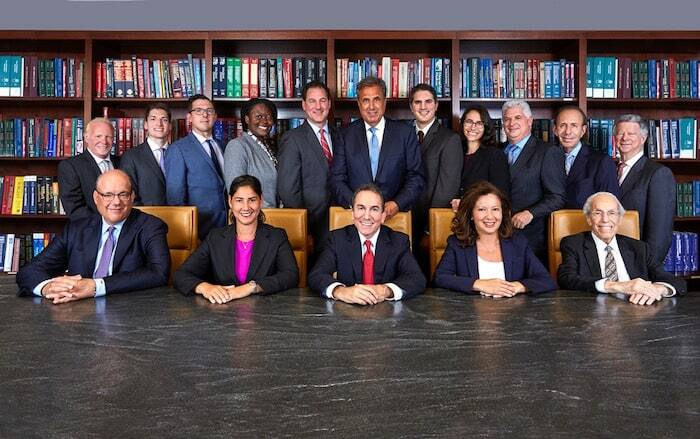 Ten of our partners have been listed in the "Best Lawyers in America" as seen in New York Magazine and ten of our partners have been chosen for inclusion in Super Lawyers. The firm also received the highest “AV” rating from the Martindale-Hubbell Bar Register of Pre-Eminent Lawyers. Our Partner, Ben Rubinowitz is one of the 100 members of the Inner Circle of Advocates. Ben Rubinowitz , and Jeffrey Bloom are fellows to the prestigious International Academy of Trial Lawyers - an honor reserved for only 500 attorneys worldwide.